* Total number of reviews and star-ratings are based on data collected during the time period One Hour Air - Tampa, FL has been using the ReviewBuzz system and may not directly match the data found on each public review site. Romeo provided a clean and professional image. 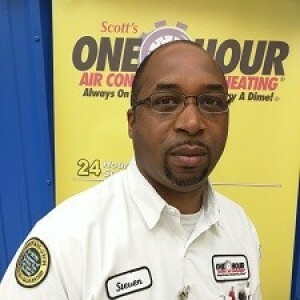 He was extremely helpful, and didnt try to push anything more than the service I needed! Called because my air conditioning stopped working in the afternoon. Was able to get a service scheduled for same day. William Lind came out and diagnosed the problem quickly and was very professional and friendly. I accepted his recommendations to fix the issue. My air conditioning is now working the way it should. Very professional, courteous and knowledgeable. Very nice man and knew his job. Had an emergency today with my unit, they sent out Johnathan M and he was wonderful. Very informative, patient, nice, knowledgeable, not pushy, etc. I was provided prompt service to fix the issue. Very pleased! Jose did a very thorough job at maintain my a/c. Excellent job. Jonathan was excellent. Good jod, on time and tried to find a quick solution..
Matthew is very courteous & knowledgeable. He took care of our need. 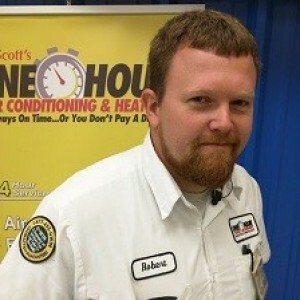 We will be happy to have him come back to take care of any of our A/C needs. Our technician Mioses was very courteous timely informative and patient. It appears he did a fine job and represented the company well. Romeo was knowledgeable and helpful. Looking forward to working with him in the future. Flavio always provides us with outstanding service and pays close attention to detail. He’s great at correcting problems others had left. He always explains everything in great detail and makes sure he answers all questions before he leaves. He never rushes thru the job (as others gave in the past) and gives our job his full attention. Can’t say enough good things about the man. 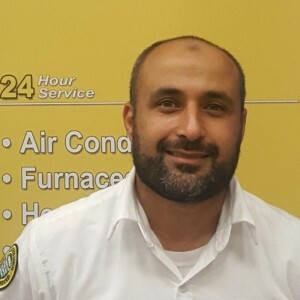 My rating of outstanding is on Flavio M’s repairs, maintenance and customer service skills in general. He is awesome. The filters & drain pan treatments are way too expensive! As always, a pleasure to do business. Cannot explain how great my representative was and his explanations of the issues with my AC unit, by picture as well! Thank you again. 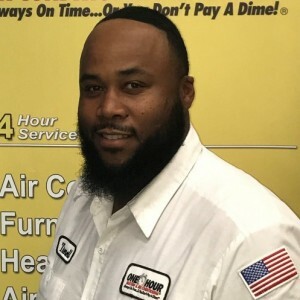 Customer service is always a top priority at One Hour Air - Tampa, FL. Our BBB Membership B rating is like a badge of honor as we continuously strive to provide the best experience for our clients.